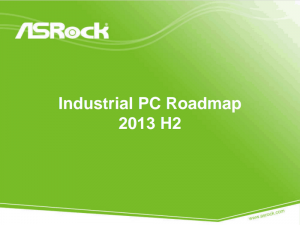 Earlier this month, ASRock’s Industrial PC Division visited our HQ. Our sales and product teams were impressed by the breadth and quality of their offerings, especially given their relatively new entry into the industrial space. They were kind enough to share their Roadmap with us, and we wanted to share it with you. Among other highlights, they have the Marshalltown mini-itx replacement (DN2800MTA) as well as a series of Bay Trail and Haswell boards coming online soon. If you have any questions, feel free to comment below or send us an email. Windows 8.1: More than a Service Pack?